1. The Ascension story answers the child’s question, “where is Jesus now?” His life walking around on the earth is over, but he lives with God and continues to love the whole world from there. As he left, he clearly passed the baton to his disciples – and to us. 2. As you complete the cycle of liturgical seasons about Jesus’ life and passion (Advent, Epiphany, Lent, and Easter), Ascension Day is a chance for worship review (How did we follow and celebrate Jesus in each season?) and a peek ahead to the rest of the liturgical year. t If you have been meeting Easter People each week of this season, today review the collection of folks. Then use a phone or other camera to take a picture of the whole congregation. Display it and note that in this story, Jesus calls US to become Easter people. Remind worshipers of all the members of your congregation who do today what the biblical Easter people did in their day and call on each of them to take up or continue Jesus’ ministry on earth in their own way. t The Brian Wren hymn Christ Is Alive! is worth walking through before singing with the congregation today. Ask all worshipers to open their hymnals and follow along with you as you restate the meaning of each verse. t Celebrate going out at the direction of the ascending Christ with the chorus You Shall Go Out with Joy! Find the words and music Here and below. t If this is the last Sunday of your Easter Season, sing Come Christians Join to Sing with its simple concrete words and choruses of Alleluias. If you have a movable Alleluia banner, process it around the sanctuary as this song is sung. To clear the sanctuary for Pentecost paraments next week do this at the end of worship calling worshipers to follow the Alleluias out into the world. 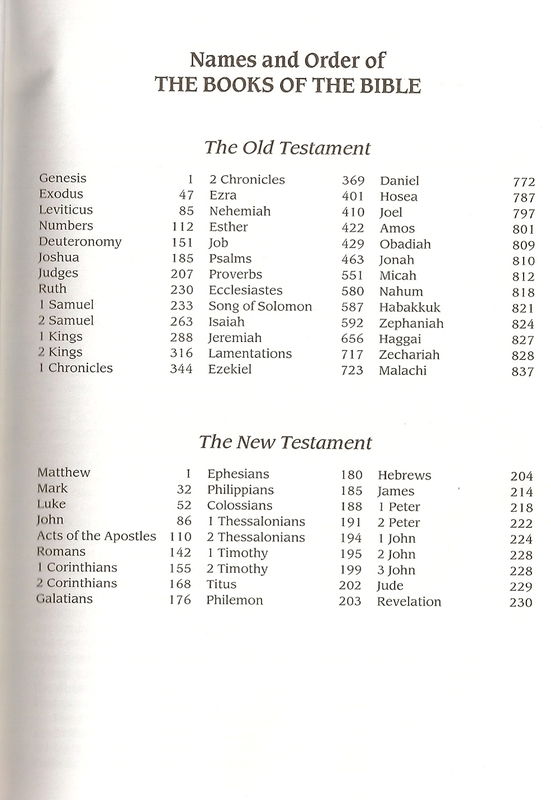 t The texts for the day are the same all years of the lectionary cycle. I have gathered ideas from other years in this blog and even added some new ones. There is even a suggestion for those in the United States for whom it might be Mother’s Day this year. So, there is no need to search for other posts on this blog. What I have to offer is here. t The Vanderbilt Divinity Library’s great on-line art collection includes a variety of artist’s depictions of the Ascension – with directions on using them without fee for non-commercial purposes if you print their attribution. Go HERE to see the art for this day. It ranges from a very simple painting of Christ with arms outstretched to a very abstract twirling tower of metal tubes. 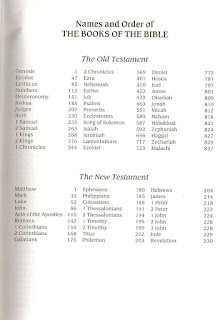 Before reading the ascension story, briefly display a variety of these noting with amazement that each one is one person’s idea about the same event. Read the story. Then, revisit the pictures pondering the similarities and differences. Enjoy the mysteriousness of the event. No one today can know exactly what it looked like. Then, provide children (all worshipers?) with paper and colored pens or crayons with which to create their own picture of what happened. 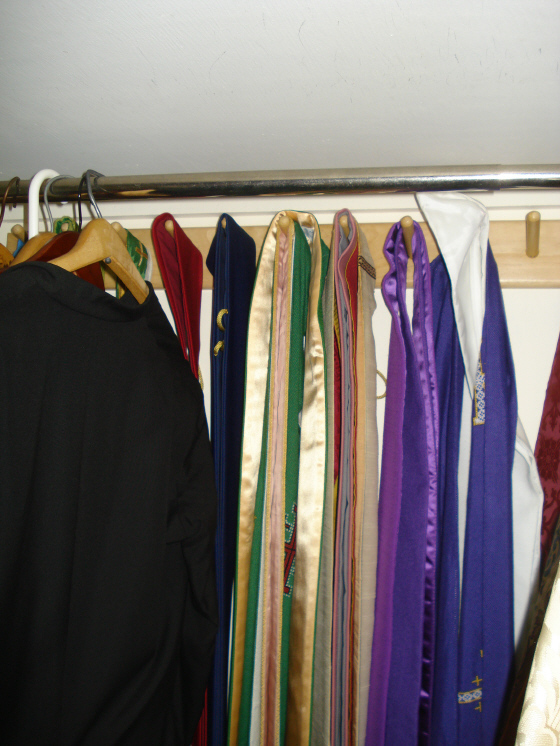 Invite them to post their pictures in a prepared space or tape them to the altar rail at the close of the service. 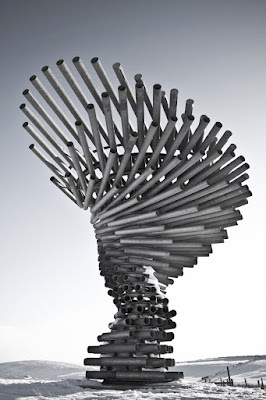 While surfing, I bumped into more information about the tower of metal tubes. As far as I can gather, the artist did not create it as an Ascension statement. I do not know for sure why the Vanderbilt folks categorized that way – but I can see their point. Go to HERE for recordings of the sounds made by the wind moving through the tubes. There might even be a Pentecost connection there. t Display pictures of Jesus’ birth, healing, teaching, Palm Sunday, Crucifixion, Empty Tomb, and Ascension. With the children review Jesus’ life, death and resurrection. Then tell the story of the Ascension in your own words. Stress that during his life on earth, his disciples knew Jesus as a very special person, after Easter Jesus was different. He appeared and disappeared sometimes in locked rooms but still ate fish and bread. Thomas could touch him. 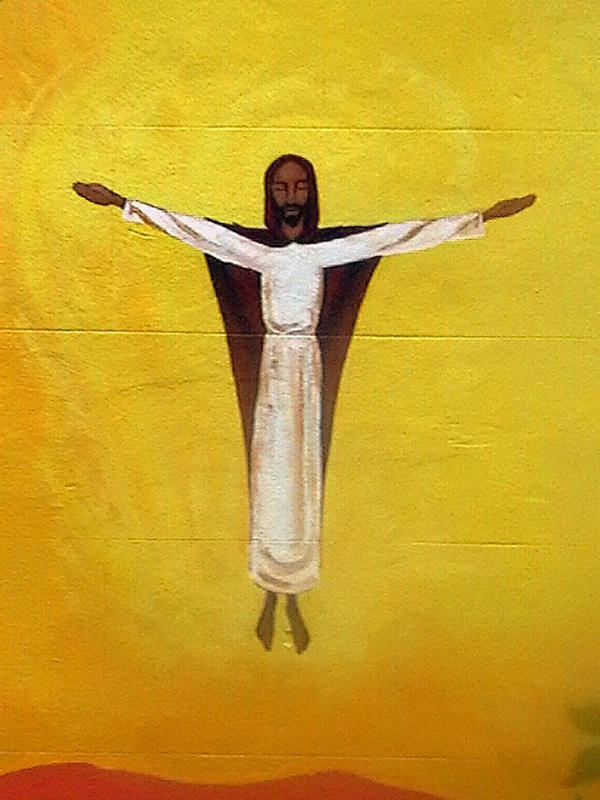 Since the Ascension, people have seen Jesus only in visions and dreams. Jesus is still alive and is not just with God, but part of God. t Instead of using pictures, bring out seasonal paraments from Advent through Easter. If you have seasonal banners, hang them all in sequence and walk your way through them. Or, lay out your stoles in order and match them to their seasons. Recall things you did in worship during each season to remember that part of Jesus’ life. 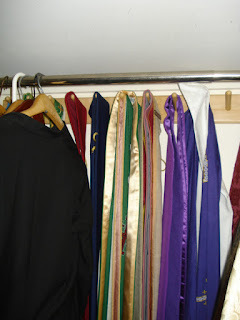 Even add them (or let a different child add each one) to your robe as you talk about their seasons and then wear all of them for the rest of the service. t Sing the review of Jesus’ life with “O Sing a Song of Bethlehem” or “I Danced in the Morning.” The first is easier for children to follow. But before singing either, walk worshipers through it in their hymnals. t Both accounts of the Ascension make it clear that Jesus passes his ministry to his disciples. Near the end of school many elementary schools have field days featuring, among other events, relay races. Describe or ask some children to help you demonstrate the passing of a baton in a relay race. Children could run the perimeter of the sanctuary, carrying a baton which they pass to the next child at the front of the sanctuary. Then explain that though Jesus did not actually pass a baton to his disciples, he did tell them very clearly that they were to take up his ministry on earth. His earthly part of the race was complete, but theirs was just starting. If you have a wood worker in the congregation, ask him or her to prepare a baton for each child or each worshiper. Dowels can be cut into 8 inch lengths and the ends sanded. Wood burn or draw with a marker a cross on each baton. As you give one to each child say, “NAME, Jesus needs you to be his disciple.” At the benediction raise a baton in one hand offering it to the whole congregation with words of challenge. With the other hand bless them, reminding them that God will be with them as they carry their baton. Mary from Australia some years ago made the batons using PVC pipe and had the children write short prayers asking Jesus to help them be his disciples in the world to insert in their pipe. 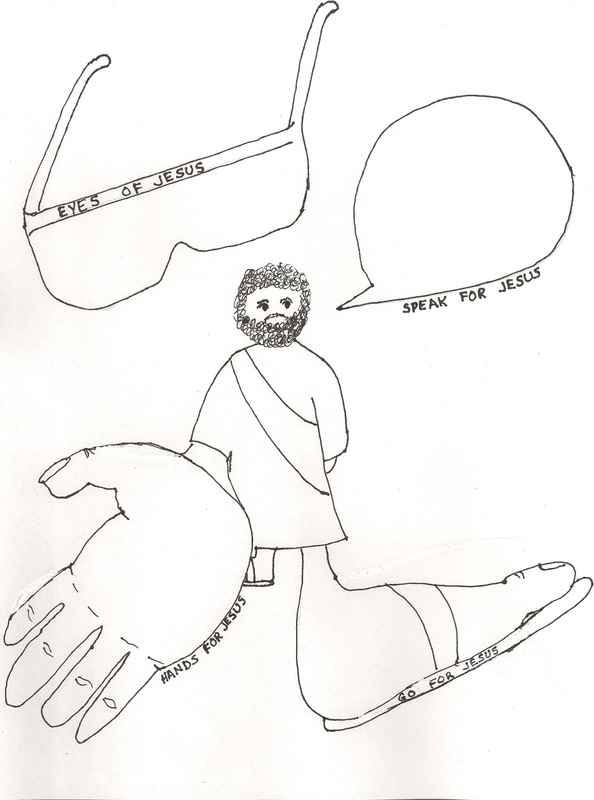 Bill Waterstradt gave the children copies of the eyes-hands-feet of Jesus worksheet at the end of this post to fill out and insert in their PVC pipes. t Tell the story with movements which you invite the children to do with you. Begin with hands and faces looking up (as Jesus ascends). Drop your hands to your sides (as you ponder what the angels said). Then, go into marching pose pumping your arms (as the disciples take up the task). Repeat these motions and the angel’s words during the benediction. t The Mothers’ Day connection: As we studied together a member of my lectionary group noted that the word blessing appears repeatedly in it. Jesus blesses the disciples and they in turn bless God creating a circle of blessing. She connected it to God’s promise to Abraham that his family would be blessed and would be a blessing to all the world (Genesis 12:1-3). Jesus was the fulfillment of that promised blessing and calls us to follow him in blessing others. On Mothers’ Day this could lead to exploring how families can be both blessed and a blessing. Mothers may or may not be a blessing to their children. Children likewise may or may not be a blessing to their mothers. We can be grateful for those who bless us and we can choose to be a blessing to others. t If your congregation often recites the Apostles’ Creed in worship, this is a good day to highlight the phrase, “he ascended to heaven, and sits on the right hand of God the Father Almighty.” It is often lost in the all the phrases toward the end of the creed. Rehearse the previous phrases about Jesus connecting them to stories the children know. Stop with “he ascended to heaven” noting the connection to today’s story. Next say, “he sits on the right hand of God the Father Almighty.” Conjure up an image of God sitting on a heavenly throne and laugh at the mental picture of Jesus sitting on God’s hand. Restate the phrase so that Jesus sits right beside God on God’s right. Note the importance of that position in old stories about kings. The most important person other than the king always sat on the kings’ right hand. Conclude that what we are saying about Jesus is that he is right with God and that he is more important than any angel or any person who has ever lived. Finally, invite the congregation to say the whole creed together saying this phrase especially as if you know it is true on this day. t Psalm 47 begins with a call for applause. After pointing this out, teach the congregation a simple short clapping pattern which they then repeat after a worship leader or the choir says each verse or after verses 1, 4, 7, and 9. You might try clapping the rhythm of the first line of “Peoples, Clap Your Hands!” (Genevan 47 which is # 194 in The Presbyterian Hymnal) or enlist the aid of a music leader in selecting another good pattern. t Tie Psalm 47 psalm to the Ascension by reminding people that Jesus was God in human skin. That makes this a fitting praise for Jesus as he ascends. t I think the Contemporary English Version (CEV) may offer the best translation of this text for children. Today verses 19-23 can be heard as Paul’s comments to the Christians in Ephesus about the Ascension. ﻿19﻿ I want you to know about the great and mighty power that God has for us followers. It is the same wonderful power he used ﻿20﻿ when he raised Christ from death and let him sit at his right side in heaven. ﻿21﻿ There Christ rules over all forces, authorities, powers, and rulers. He rules over all beings in this world and will rule in the future world as well. ﻿22﻿ God has put all things under the power of Christ, and for the good of the church he has made him the head of everything. ﻿23﻿ The church is Christ’s body and is filled with Christ who completely fills everything. Verses 19-21 describe Jesus Ascension power. Verse 22-23 then describe the passing of Jesus’ ministry to the church. Jesus is the Lord of the church. The church is Jesus body present to do his ministry in the world. t Spin out specific examples of today’s “forces, authorities, powers, and rulers” and celebrate the fact that Christ is more powerful. For the children, list all armies (whether ours or theirs); terrorists who kill people to get their way; all presidents, prime ministers, and kings (the ones we like as well as the ones we don’t), any bully, etc. t The church as the body of Christ is a metaphor. To help children explore both sides of the metaphor detail how different people and groups in your congregation serve as different parts of the body. This would be an easy way to draw children into the “real” sermon. Laugh with everyone about the idea that the minister might be the mouth of the church. Then, point out that your mouth will not be around at the swimming pool or at the office this summer when someone needs to stand up for Jesus’ ways or say Jesus’ kind, loving words. Insist that each of them must be Jesus’ mouth where they are. Then go on to imagine who are the hands describing what they do being sure to include children serving as hands and so forth. (Hmmm, I wonder how Jesus’ feet would play soccer?) Offer children a sermon worksheet with outlines of the body parts you will explore. Invite them to write or draw in each part at least one way they can be that part of Jesus’ body.